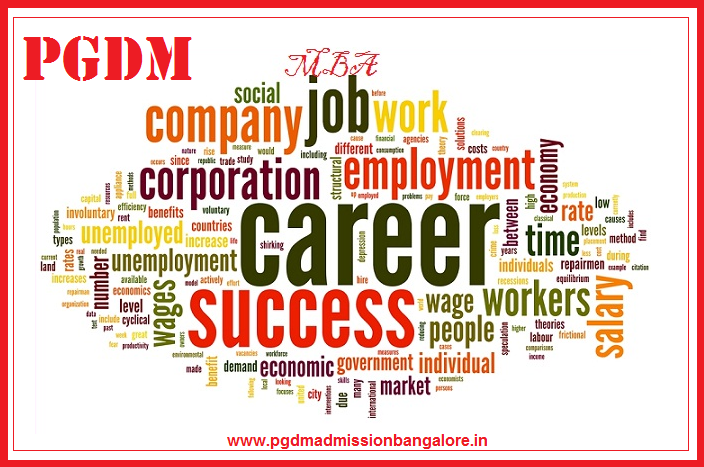 A Post Graduate Diploma in Management (PGDM in Bangalore) is a diploma course offer by the institutes that are recogniz by the All India Council for Technical Education (AICTE) and which are autonomous and not affiliation to any university. postgraduate diploma programs which satisfies the credit requirement for a master’s program with increased number of lower credit courses for 2 years, this programs are provisionally considered equivalent to a master’s level. Postgraduate diploma programs are meant for those with a bachelor’s degree to gain an advanced technical grasp and to those with a master’s degree to enhance their interdisciplinary/translation grasp. To be eligible for admission to the PGDM Program, the participants must possess a Bachelor’s degree or equivalent, with a minimum of 50% aggregate marks or equivalent in any discipline, recognize by the Association of Indian Universities (AIU) for admission to post-graduate programs. The main reason why postgraduate courses are named as PGDM is because when an Institute is an autonomous body (not affiliation to any University) and conducts management courses, then such Institutes cannot offer MBA degree. Even IIMs, XLRI’s doesn’t offer MBA degrees; they only give PGP Diploma. B-schools to consider students who have taken any of the six MBA entrance exams – CAT, MAT, XAT, ATMA, CMAT and GMAT. Also IIMs, though being the best of the lot, can’t offer MBAs as they are not affiliated with any university. Institutes which are not affiliated to university are autonomous and can offer PGDM degree. However, these programmes are approved by regulatory bodies such as AICTE.